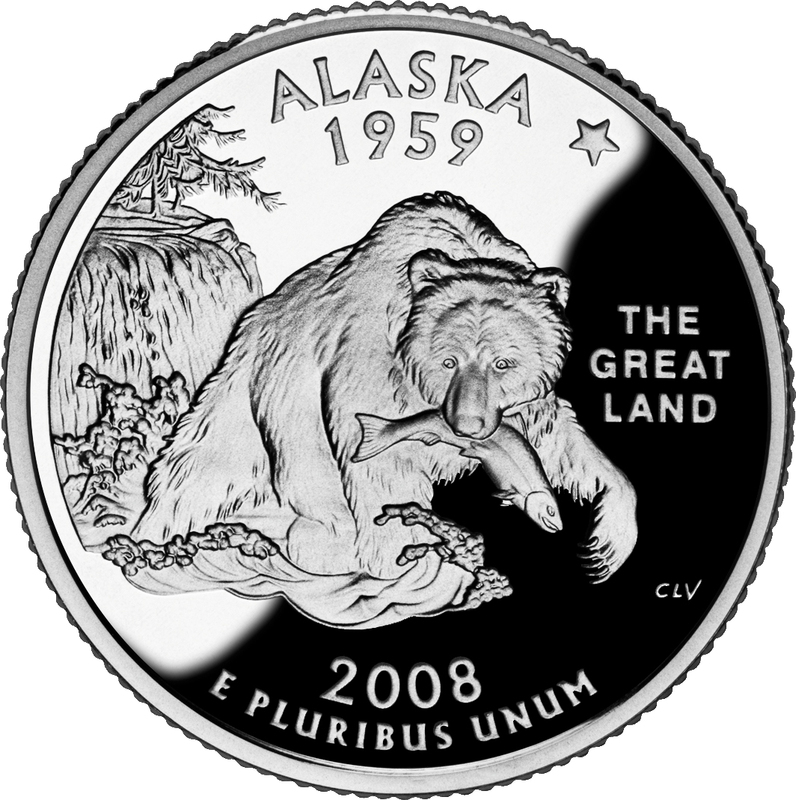 The U.S. Mint's commemorative quarter for Alaska features a grizzly bear with the state fish (salmon), the north star (see Alaska state flag and motto) and caption; "The Great Land" Alaska became the 49th state in 1959. Public domain image on Wikipedia. Alaska quarter; Photo by [file:field-file-photographer]/[file:field-file-source] ([file:field-file-license]). 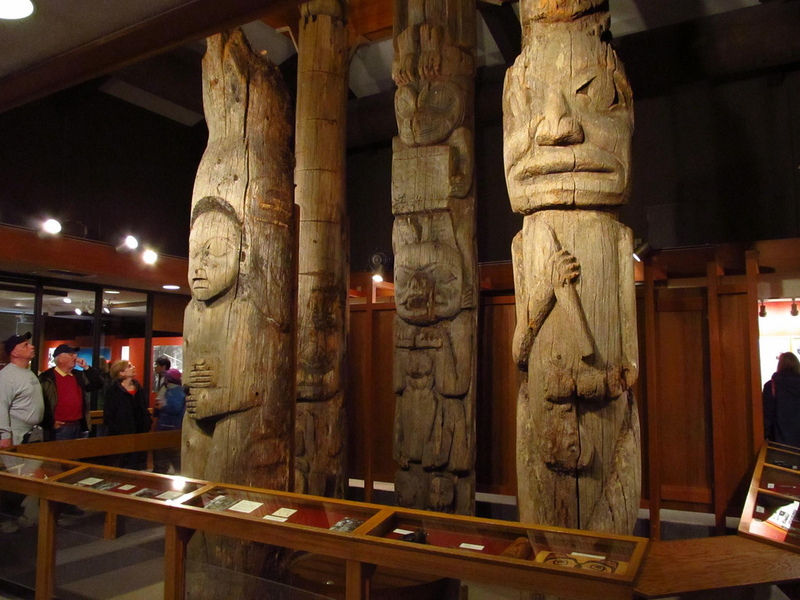 Unrestored native Alaskan art; Totem Heritage Center in Ketchikan, Alaska. Photo by Jasperdo/Flickr (noncommercial use permitted with attribution/no derivative works). 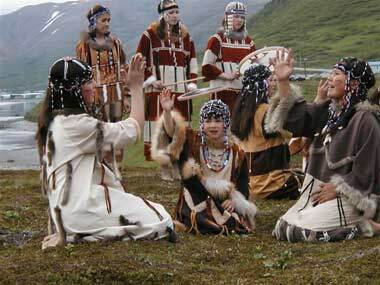 The King Cove Dancers - from one of the five last remaining Eastern Aleut villages still in existence; photo © Alaska Department of Commerce, Community, & Economic Development (used by permission). Add Media for Origin of "Alaska"